Football Kenya Federation (FKF) has today, Friday, February 2, 2018, held a one-day coaching seminar ahead of the Western Region Chapa Dimba na Safaricom Youth Tournament finals. 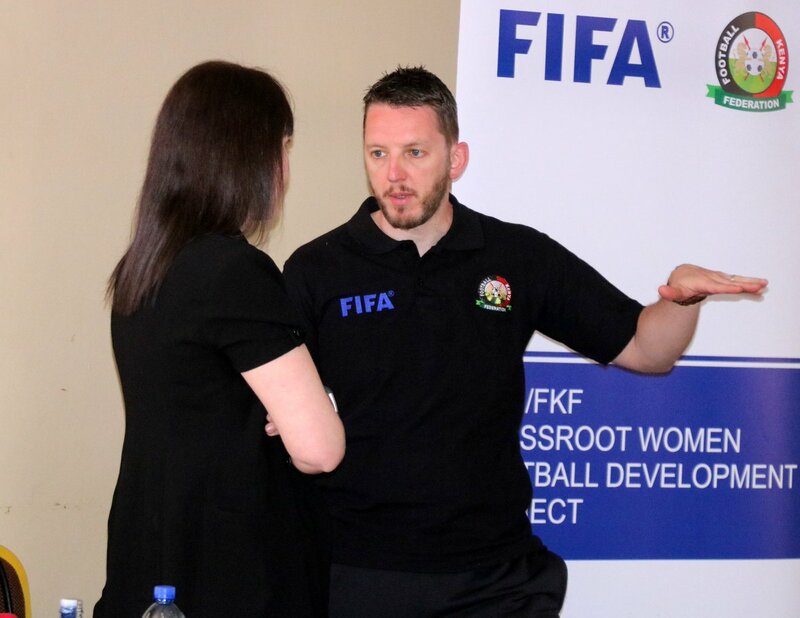 The seminar targets grassroots coaches whose teams took part in the tourney, as well as those who graced the basic/ advanced coaching course, offered free of charge by FKF late last year. “Through our partnership with Safaricom, we have conducted coaching seminars in all regional finals,” said FKF Technical Director Andreas Spier. “This is in consonance with the tournament’s objective of not only nurturing youth talent but also the capacity building of our grassroots coaches,” he added. Among participating coaches was Mustafa Rajab, whose team, Emanani Muslim FC, will be contesting the semifinals on Saturday. “Through the seminar, I have acquired planning and organizational skills that are crucial in getting my team prepared for the match,” opined Rajab, further expressing optimism that his team will make it to the National finals. Action now shifts to the pitch on Saturday, February 3, 2018, at the Kanduyi Stadium in Bungoma, with four semifinal matches lined up. Bishop Njenga Girls will face Chelebei in the first Girls’ semifinals before Kingandole faces off with Shinyalu in the second semi. Later in the day, Mukumu Boys will face Emanani Muslim in the first Boys’ semifinal, paving way for the last match of the day pitting Lugari Blue Saints against Kapswokony. The finals will be played on Sunday, February 4, 2018, at the same venue, with the winners booking a slot at the National finals set to be held in Kakamega later this year. Tournament sponsor Safaricom has invested Sh100 million towards the program which includes Sh10m worth of prizes as well as funds for the renovation of select community pitches through a legacy programme.